Aerial view of Turtle Tail, Providenciales. Condominiums on the beautiful Grace Bay Beach. The Turks and Caicos is currently experiencing one of the strongest real estate markets in the Caribbean. 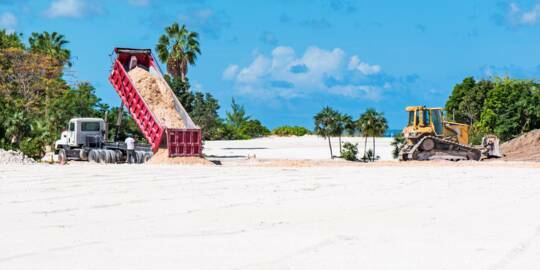 There’s a wide range of available property in Turks and Caicos, including vacant land, finished homes and villas, duplexes and townhomes, multi-family residences, condominiums, and commercial opportunities. 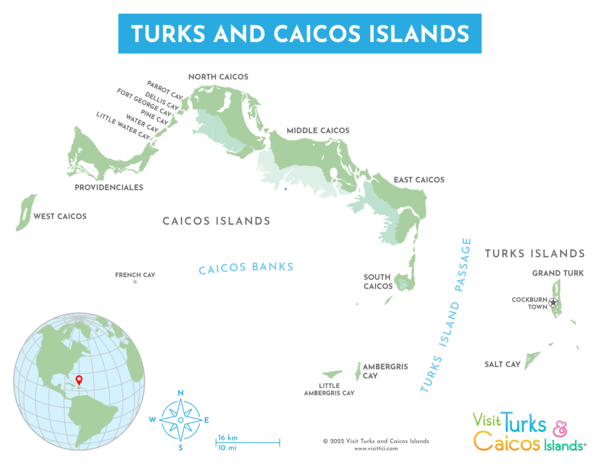 On a global scale, the Turks and Caicos is a very small country, with total landmass amounting to only 300 square miles (616 square kilometres). However, much of this area includes protected tidal wetlands and nature reserves, so buildable area is far less. There are seven main islands in the country; Providenciales, Grand Turk, North Caicos, Middle Caicos, South Caicos, East Caicos, and West Caicos. 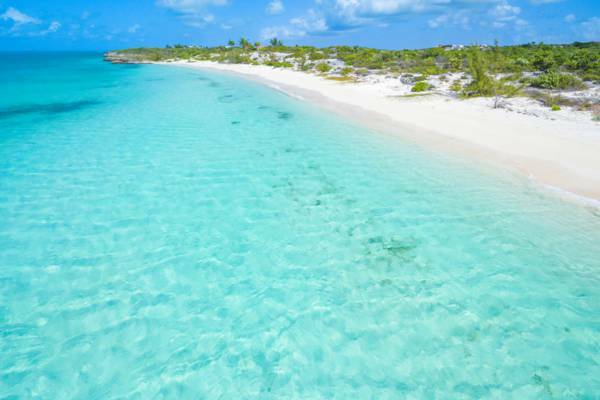 A large number of cays area also found here, from the relatively large and inhabited islands of Salt Cay, Ambergris Cay, Parrot Cay and Pine Cay, to a countless array of small rocks and sand bars, including the uninhabited Water Cay. Due to the overall quality and quantity of the beaches, Providenciales is currently home to the majority of the population and development in the country. 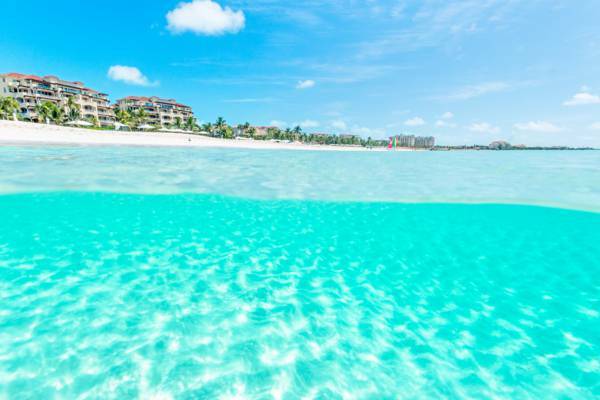 However, the lower levels of development on the islands of North Caicos, Middle Caicos and South Caicos allow for a much greater selection of beachfront and oceanfront land for sale than what's available on Providenciales and Grand Turk. The best place to start your property search is the local Turks and Caicos Real Estate Association (TCREA), which offers an extensive collection of real estate listings from many licensed agents in the country. 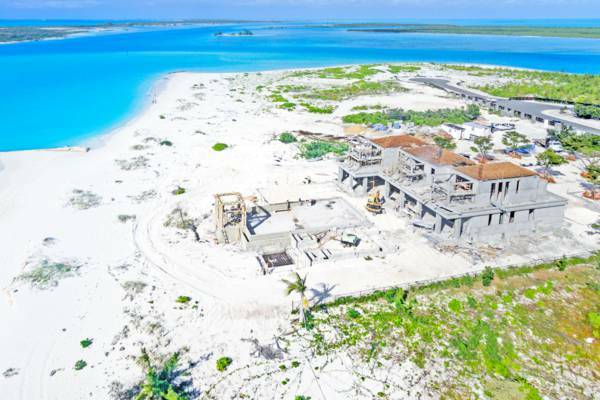 Luxury villa under construction at Leeward, Providenciales. 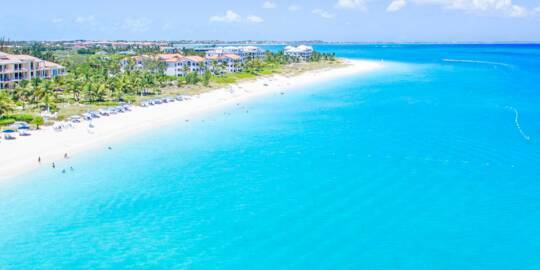 The Turks and Caicos is a British Overseas Territory, and there are no restrictions on foreign individuals owning real estate. However, it's important to note that foreign companies and trusts are not able to own real estate. The currency used in the Turks and Caicos Islands is the U.S. Dollar, and land is sold using the acre measure. 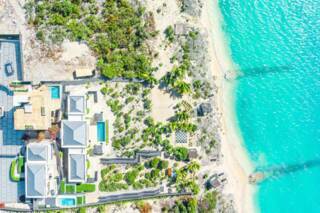 When buying real estate in the Turks and Caicos, a stamp duty of 0-10% is applicable (depending on value), as well as additional brokerage and legal fees. The property seller typically pays the real estate agent’s fee. The local real estate association (TCREA) sets commissions, which is 6% for developed properties and 10% for undeveloped properties. It’s important to be aware of residency status and eligibility before investing in the country. Depending on investment amount, a residency permit or a Permanent Resident Certificate (PRC) may be granted. 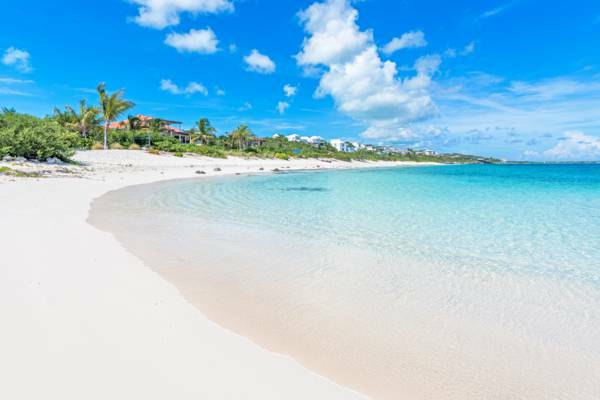 After a legal residency of five years and if one holds indefinite leave to remain (typically a PRC), it’s possible to apply for British Overseas Territory Citizenship (Turks and Caicos Islands). This status confers a passport, however be aware that voting and certain business rights are restricted to those who Turks and Caicos Islander Status (also commonly referred to as Belonger Status), a status that can be very difficult to obtain regardless of residency length. Vacant land, detached single family residences, condominiums and multi-unit residential townhouses are available on Providenciales. The options on the other islands in the Turks and Caicos, due to their limited development, are largely limited to either vacant land or detached single family homes. Condos range in size from a simple suite with a bed and bath to expansive units with several bedrooms and a likewise impressive ocean view over Grace Bay. 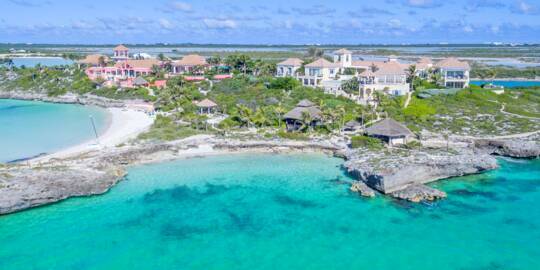 Luxury villas at Sapodilla Bay, Providenciales. 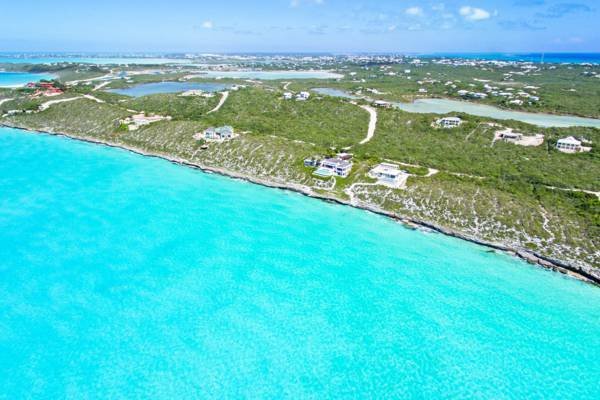 As to be expected, beachfront and oceanfront land in Turks and Caicos commands a price premium. Prices for such land on the less-inhabited islands is typically significantly less than on Providenciales and Grand Turk, however the price ratio on each island between inland and oceanfront remains roughly the same. The easy accessibility of the Turks and Caicos Islands to North America makes us a top choice for retirees and those want to buy a second home to escape the cold of winter. There are only a few gated communities in the Turks and Caicos, many of which are smaller luxury villa enclaves. Private security does patrol some of the more exclusive neighbourhoods. The local Turks and Caicos Real Estate Association (TCREA) offers an online multi-listing service (MLS), covering many of the featured properties listed with estate agents. However, it's important to note that this is not an exhaustive list, and there are many other parcels and units listed solely on an agent's site. In addition, especially for smaller-value land, parcels are listed for sale direct by owner, through signs on the property or through advertising (it's common to advertise locally on Facebook due to the low cost). If you’re looking to live or work temporarily in the Turks and Caicos, there’s a wide range of long-term rental and lease properties. Many of these are town homes and condominium units, which offer shared amenities such as swimming pools, tennis courts, and maintained gardens, often in great and convenient locations. There are many condo and townhouse complexes on Providenciales, across several different regions. The Grace Bay area has units on the beach as well as inland, including Villa Renaissance, Villa del Mar, and West Bay Club. The Turtle Cove district offers the Yacht Club and La Vista Azul. Central locations include Flamingo Park Townhomes and Kokomo Botanical Resort and Spa. Most sites are complete with a pool and other amenities. If you’re looking for a gated community, there are several townhouse complexes at the Provo Golf Club, as well as the secluded Northwest Point Resort. Mansions at Babalua Beach and Blue Mountain, Providenciales. Providenciales offers some of the finest beaches in the world and quite a few upscale coastal residential regions. There are general residential-zoned parcels to choose from, as well as lots in organized residential developments that fall under a homeowner association (HOAs). Whereas residential zoning typically starts at the single family home level, it's common to see approval given for residential apartment blocks located within traditional residential neighboorhoods. Private associations typically have much stricter standards and enforcement than parcels not in a association. 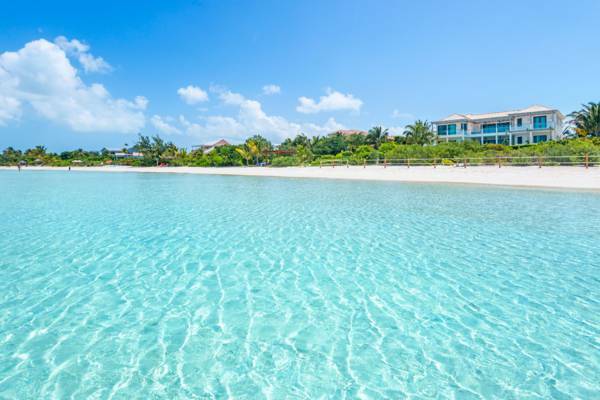 A property on Grace Bay Beach is of course a very desirable item, but the unfortunate fact is that there are very few non-condo options to choose from, most of which are found on the extremities of the coast. Leeward is found on the northeast side and features some of the finest undeveloped beachfront lots on the island. Also within this area is the Provo Golf Club, where both vacant residential land, existing homes, and townhomes are available for purchase. Chalk Sound and Silly Creek are surrounded by an incredibly-scenic lagoon and wetlands. Long Bay Beach is another site and one of the finest kiteboarding location in the Caribbean. Blue Mountain, situated on the highest point in the country, offers incredible vistas over the northern barrier reef and water. Thompson Cove is part of the greater Blue Mountain region on Providenciales. Vacant beachfront land at Taylor Bay Beach, Providenciales. Long Bay Hills, found inland near Long Bay Beach, is a quiet residential community. The higher elevation properties in the area offer views over Juba Sound and the turquoise waters of the Caicos Banks. Discovery Bay is another residential region, and has a network of canals, the perfect property type for boat owners. The central part of Providenciales is home to the communities of Richmond Hills and Cheshire Hall. The western portion of Providenciales, including the North West Point area, is generally not developed with the exception of the Amanyara Resort. 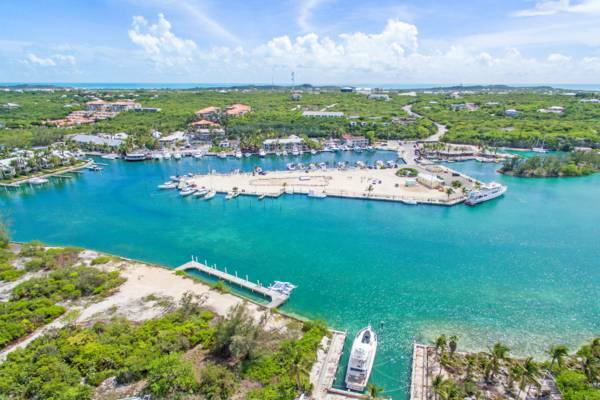 There’s also a wide selection of condo, waterfront and canal lot listings on Providenciales, in the Leeward, Turtle Cove, and Juba Sound areas. Several of the expansive mansions on Provo have been featured in major international publications such as Forbes, and many are favoured by celebrities visitors as vacation destinations. If you’d prefer the simplicity of a condominium, there’s availability in beachfront resorts and interior townhouse complexes. Many condos can be rented out through the onsite management when the owners aren’t in the islands for additional income. There are many single bedroom studios and units with multiple bedrooms and bathrooms to choose from. Most condominiums are located in Turtle Cove, the Bight, Grace Bay, and Leeward. The Bight Condominiums: Wymara Resort (Gansevoort), West Bay Club, Coral Gardens, The Windsong. Grace Bay Condominiums: Alexandra Resort The Palms, The Somerset, The Sands Le Vele, The Regent Grand, Seven Stars, Ocean Club West, Grace Bay Club Resort, Royal West Indies Resort, Point Grace, The Tuscany, The Venetian, and The Pinnacle. The The Shore Club is located in Long Bay and Blue Haven Resort is located in Leeward. One of the newest projects is the 12-storey Ritz-Carlton in Grace Bay, which began construction in early 2018. Turks Cay Resort was also announced in 2017 for the Turtle Cove area. A newer phenomenon is the rise of villa clusters (or collections). Typically, a developer will build a group of 4-16 villas, which may share features such as a common gated access or other amenities, such as a tennis court. Beach Enclave operates two of these developments on Providenciales (in Long Bay and also the North Shore). Blue Cay is a similar concept situated on a private canal in Leeward. These properties are typically let out as vacation rentals when owners are not present. If you’re looking for more than a few acres, the islands of North Caicos and Middle Caicos offer the best choices. There are sites on secluded beaches and coasts, acreage in the inland tropical forests, and homes in the quaint settlements. Due to the low levels of development on these two islands, many beautiful sites are located in remote areas that are accessed by long and unpaved roads. 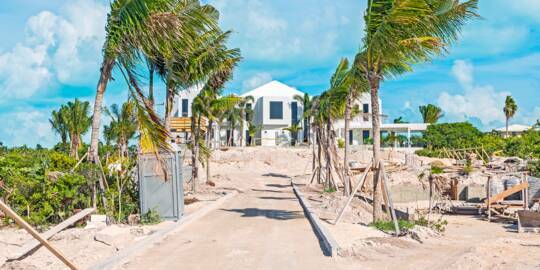 Beachfront villa for sale at Sapodilla Bay Beach, Providenciales. Many of the best British-Bermudian colonial houses in the Turks and Caicos are on the island of Grand Turk. These buildings feature hand-cut limestone block construction, tropical hardwood interiors and a prime oceanfront location. On the east side of the Grand Turk, there’s both villas and undeveloped real estate available, much of which is either beachfront or situated on a coastal ridge on the bluffs overlooking the ocean. Salt Cay and South Caicos still exhibit an old Caribbean atmosphere, yet access and investment is increasing. South Caicos has just welcomed a new luxury accommodation: the East Bay Resort. 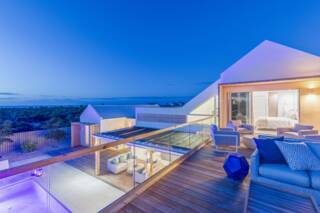 It's also home to the expansive Sailrock private residence development and resort. There are very few finished homes for sale on these two islands, yet there is some incredible vacant ocean frontage available, including parcels on perfect white sand beaches. 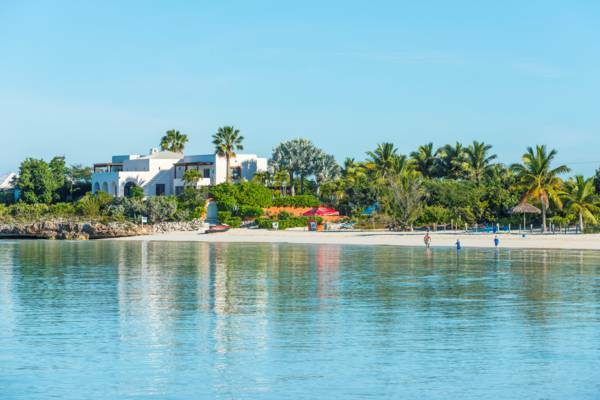 If you’re looking for something a bit more exclusive, there are also private island enclaves to choose from, including Pine Cay, Parrot Cay and Ambergris Cay. The Turks and Caicos now supports quite a few real estate brokers, and several international agencies are represented locally (such as Sotheby's, ERA or more recently Engel & Völkers). If you’re looking to purchase directly from the property owner, it’s possible to have a local lawyer oversee the transfer and ensure that governmental requirements are met. For larger projects, developers typically opt to work with a single realty firm to handle property sales, or may form a dedicated entity whose sole purpose is manage sales. Long-term rentals can be found through estate agents, local condo management at a complex, and by owner. Aerial view of Turtle Cove Marina on Providenciales. Canal lots are available in many regions on Providenciales. For those who want to build their dream house, the construction options in the Turks and Caicos are greater than ever. 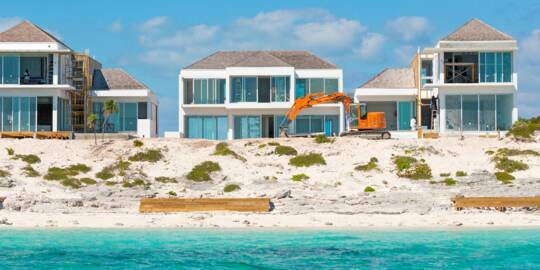 Due to the rapidly expanding luxury villa market on Providenciales, there is a wide selection of architects, engineers, project managers, and contractors to choose from. Finding the perfect property to build on can be a daunting task, and it’s best to consider a visit to the various districts and areas of Providenciales and our other islands for insight on location and design. Once you choose a property to build on, construction can begin after government planning approval has been received. 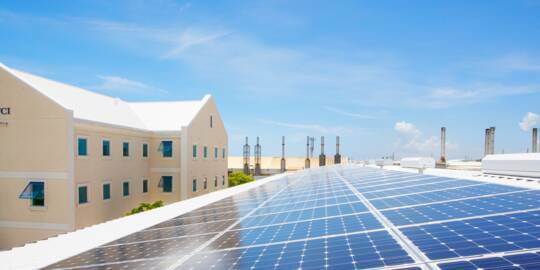 If you’re considering starting a business in the Turks and Caicos, there are many commercial real estate properties for sale and for rent. Options include a unit at a retail and professional plaza at Grace Bay or Leeward Highway, or complete and detached commercial properties. 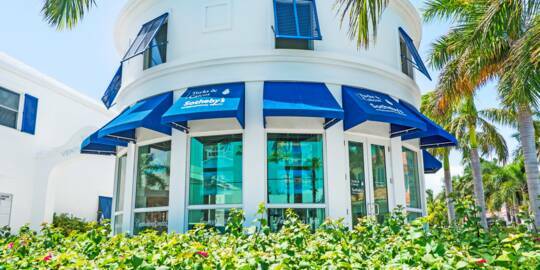 Grace Bay Road on Providenciales is the centre for dining, luxury shopping, and tourism-related businesses. Much of the industrial-type zoning and businesses in the Turks and Caicos are found in the South Dock region of Providenciales. To get a better understanding of the island’s locations, see the Providenciales districts map. As the name may suggest, the Turks and Caicos consists of two closely adjacent archipelagos: the Turks Islands and the Caicos Islands. 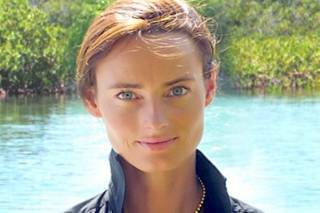 Both island groups are situated on a limestone plateau that rises abruptly 11,000 feet (3,300 meters) from the Atlantic ocean floor, however the 6,000 foot deep (1800 meter) Turks Island Passage separates the two island groups. Vibrant reefs surround almost the entirety of both the Turks Islands and the Caicos Islands, and the ongoing bioerosion of these reefs by marine animals such as the parrot fish continually feed the spectacular beaches that define the Turks and Caicos. The general geology of the country is similar to the neighbouring Bahamas island chain, with very low elevations, extensive wetlands, and prevalent Karst Process geomorphological features. Led by owner and broker Bernadette Hunt, Turks and Caicos Property was established in 2000 and is a leading broker of premier real estate, with a wide portfolio of luxury homes, vacant land, and beachfront condos. Grace Bay Realty is a Turks and Caicos real estate company offering both buyer and seller agency for homes, condos, land and commercial properties. As a community conscious business, Grace Bay Realty is committed to offering you clear communication and full support in manifesting your intentions, whether we are representing you as a buyer or seller.